New Orleans Luxe Limousines offers top of the line special limousine and party bus services. Such as city and holiday light tours, Mardi Gras and festival transportation. Come, visit New Orleans. There are many unique and exciting places and times to visit. So why not take advantage during these times to book one of our fun and festive vehicles? We have stretch limousines, sprinter vans, party buses and minibusses to choose from. Book a charter service. For instance, rent an hourly service in a stretch limo or a party bus. Take a tour of New Orleans. Thus, arrange your own tour. Visit the sites you want to see. Travel at your own pace. Or book a party bus and do a New Orleans bar crawl. Make stops at the bars you want to go to. Do it your way. Then as they say here in New Orleans “let the good times roll”! What’s the best way to travel during the holidays? In a party bus of course! It’s always a good time in a party bus. Travel to and from local events with ease. Like Jazz Fest, Red Dress Run, White Linen Night, Voodoo Fest, Carnival, and Mardi Gras. These are just a few. 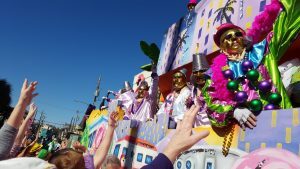 New Orleans has many local events year-round to enjoy. 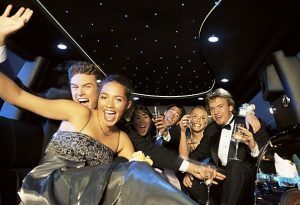 In such times that a limo or party bus is the best way to get around and have a great time. So why not take a private tour? Rent one of our fun and festive party buses. See the city of New Orleans all decked out during the Christmas season. Visit all the festive and spectacular lights in our area. Enjoy the Christmas festivities and sites on your very own Christmas party bus tour. 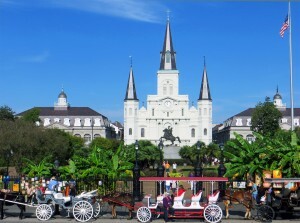 There is no better way to tour the city of New Orleans during the holidays. So why not? Customize your own city tour. Visit all the must-see sites. Such as Jackson Square, St. Charles Avenue, New Orleans City Park, Audubon Zoo, Magazine Street, Lake Pontchartrain, and much more. In other words, tour the city of New Orleans at our own pace. Luxe Limousine also offers corporate and group transportation. As well as special event transportation in and around the New Orleans Metropolitan area. With a large variety of vehicles. That is ideal for any special event. Luxe Limousines is the one to call. As a matter of fact, our party buses seat anywhere from 15 to 28 passengers. Perfect to invite all of your friends. Did we mention our party buses and limos are equipped with everything you need to have a good time? Like with a CD player, fiber-optic lighting, neon lights, and a wet bar? Everything you need for an ultimate New Orleans good time.